Sunshine Preschool offers a half-day program (8:30am – 11:45am or 12:00pm – 3:15pm), 4 days per week, to incoming 3 year olds. Children must be 2 years, 9 months and potty trained by September 1st. The Chickadee program includes Circle Time, outdoor play, snack, story time, art, cooking, center times, music, and a weekly soccer class through Super Soccer Stars in the afternoon class. In addition, the Spanish and Literacy teachers come into the classroom to work with the children. Our program for 4-year-old children is full day (8:30 – 3:30), 4 days per week. The Preschool Program includes morning meetings, center times, outside play, story time, lunch/rest, Literacy and Spanish programs, science, cooking, and art. We also offer music twice a week, weekly soccer through Super Soccer Stars, and a variety of other enrichment and extracurricular activities. The Dalmatian class is a transitional one with about half of the students going into kindergarten. Many elements of our DK program are a part of this program. Our DK class is for 5-year-old children who miss the cut-off for Kindergarten or for those who would benefit from a “gift” year. The Zebra class is full-day (8:30am – 3:30pm), 4 days per week. 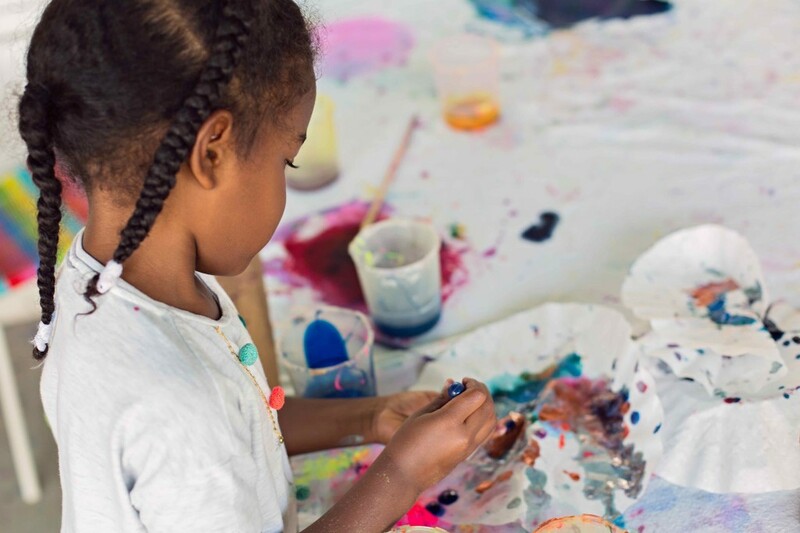 In addition to all of the activities listed under the 4-year-old program, the DK program gives children extended opportunities in literacy and mathematics through book writing, word walls, and hand-made individualized math books that challenge each child at their own pace. The preschool program at Sunshine is designed to match the developmental and cognitive growth of children 3-5 years old. Based on an understanding of child development, the Sunshine program is “child-centered,” cognitively challenging, and focused on supporting social/emotional growth and creative expression. The following elements are those skills that are cornerstones of our program; we expect our students to be competent in these skills by the completion of our program.